A Christmas best seller, this flower arrangement is a beautiful combination of seasonal blooms in rich burgundy, fresh evergreen and pure white. 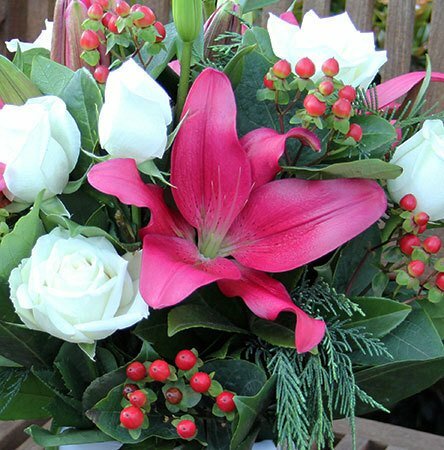 Designed by our florists in a white ceramic pot adorned with rustic hessian fabric and twine, our festive floral number features long-lasting lilies, roses and berries. The perfect online gift for friends, family or clients this Xmas! 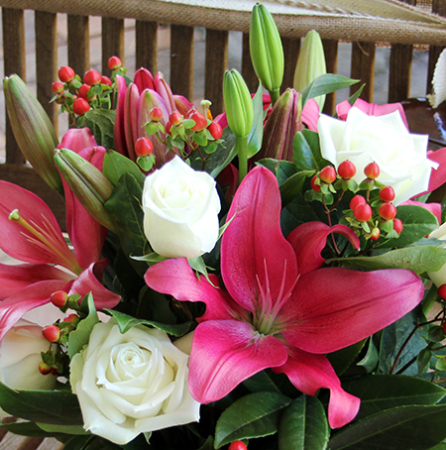 To send flowers place your order via our online florist shop or phone toll free on 1800 66 66 46. DO YOU WISH TO SEND THESE FLOWERS IN SYDNEY? Receive a free ECOYA Mini Metro candle gift! Go to our Seasonal Sydney Specials page and click on `Xmas Vixen`. 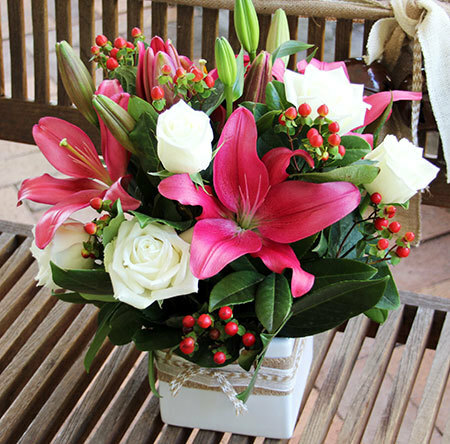 *Please note: The pictured flower arrangement and presentation is specific to Sydney only deliveries. For flower deliveries outside Sydney, the team will coordinate your order via an affiliate florist network to resemble our style as closely as possible.